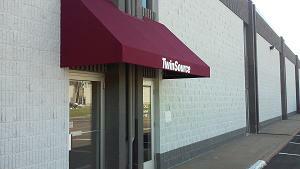 For over twenty years, TwinSource Supply has been the Midwest's leading distributor of industrial supplies. Based in Minneapolis, Minnesota, our large inventory of packaging, janitorial & maintenance, food service and safety products makes TwinSource Supply the ideal distributor for all of your industrial supply needs. TwinSource Supply is also a proud member of the Triple S® nationwide network of sanitary supplies, making TwinSource Supply an exclusive distributor of over 4,000 SSS brand products. From our privately labeled products to our exclusive Triple S® products, TwinSource Supply has all of your supply needs covered at the lowest prices. TwinSource Supply offers superior shipping options when it comes to delivering your order. Standard orders ship next business day, however, TwinSource does offer same day shipping or will call pick up options for your convenience. Our extensive online catalog of packaging materials, janitorial & maintenance products, food service products and safety products makes ordering simple and convenient. Place your orders online or by phone at 763-585-1086 or 1-800-321-3661.